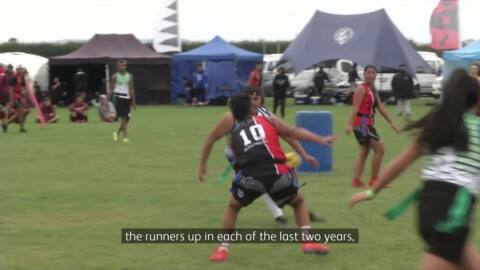 Māori Television reports on Kī-o-rahi events across Aotearoa, including the annual Kī-o-rahi Secondary Schools National competitions. Continuing our search for language warriors in everyday life to celebrate Māori Language Week, Te Kāea met with Ranginui Rikirangi-Thomas, a teacher of the Māori language and Physical Education, who is promoting the use of te reo Māori in his mainstream school. 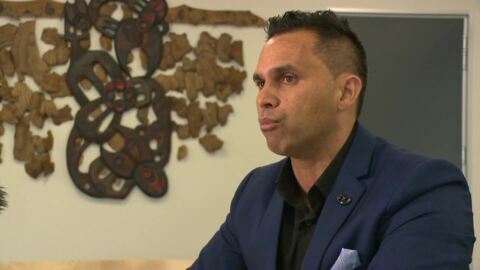 Another reo Māori-only competition is in the pipeline following the success of a netball tournament that this year attracted more than 700 students. Te Kura Māori o Ngā Tapuwae has taken out this year's New Zealand Secondary School Ki-o-rahi Nationals for the first time. The host team went head to head against Te Wharekura o Rākaumangamanga in the final, winning 10-8. Next month, the Kī-o-rahi ā-iwi tournament will take place in Tūrangi. Iwi from across the country will make the journey to battle it out for the coveted national title. Kī-o-rahi was one of the many sports played at Koroneihana this year. 15 teams turned out for the National Secondary Schools Kī-o-rahi tournament held in Whanganui over the weekend. The ancient game of Kī-o-rahi might be in its early stages, but it's attracting supporters from all around. This weekend, the Kī-o-rahi Waitangi Iwi Bowl was held, and although this is just its second year running, there were plenty of people showing an interest in the sport.